Hailed as “the future of chamber music” (Strings), the dynamic and innovative string quartet BROOKLYN RIDER has taken the chamber music scene by storm since their last 5BMF performance in the Fall of 2009, boasting several recordings and major concert credits including Carnegie Hall, Lincoln Center, the Library of Congress and South by Southwest, to name merely a few. Recent projects include the group’s acclaimed multi-disciplinary project Brooklyn Rider Almanac, a collection of 15 specially commissioned works, each inspired by a different muse. 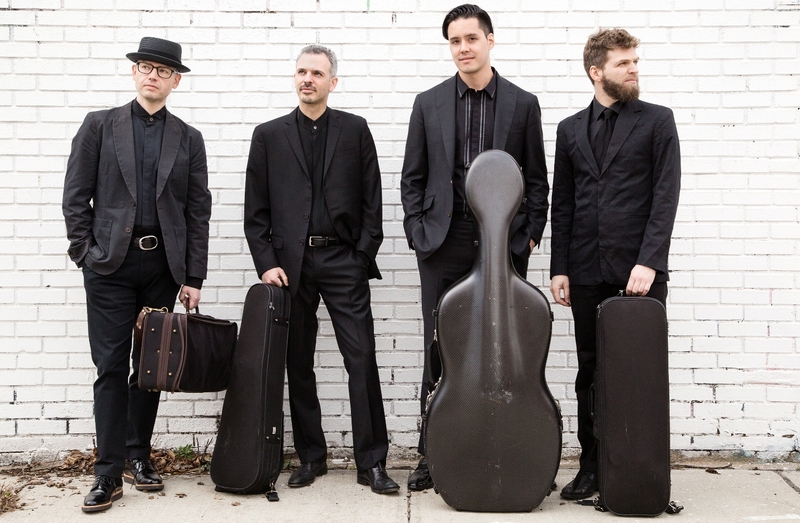 We welcome this groundbreaking group back to the 5BMF roster this season for a performance of works by Beethoven, Janáček, Glass and Brooklyn Rider’s own Colin Jacobsen. Located in historic Flushing – known to NYC foodies as a mecca for great eating – the 1862 landmark Flushing Town Hall hosts the Flushing Council on Culture and the Arts, which presents an array of high quality arts and educational programs as well as providing vital services to local artists, arts organizations and community residents. By public transportation: 7 train to Main St.